Well, week one of the 21-day organizing challenge is under way. I had exactly five things I wanted to do this week, and even though I barely got them accomplished, I did manage to get them done. First, I tackled our entry. It wasn’t terrible but it needed a little attention. 2. Secondly, I straightened up our out-of-control pantry. And by giving it a good thorough cleaning, I got it to look like this. 3. Next, I worked on the area under the girls’ bathroom sink. I also cleaned and organized the area below my kitchen sink. It looked like this when I finished. 4. Our linen closet wasn’t too bad, but needed a little extra love. I put away a few things in the proper place and cleaned them up. I was pretty pleased with the overall result. While “playroom” was on the list, our playroom just got a huge purging and organizing following Christmas, so it was still in good shape. 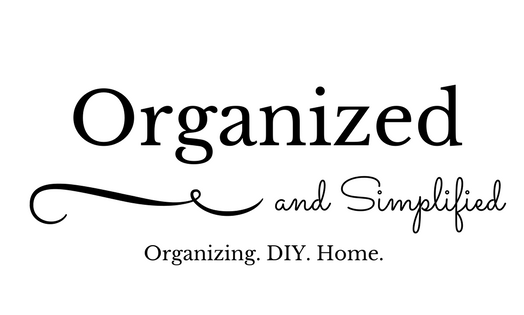 Next week, we’ll share tips for clearing extraneous clutter, garage organization, and closet organization. Join us next Saturday for my room reveals!